**Don't want to spend the extra money on Factory Navigation? Well this Vehicle is compatible to have Full On Screen Dash Display Navigation by plugging in your iPhone or Android phone (Apple CarPlay and Android Auto!) iPhone- iOS 7.1 or later, iPhone5 or later. iPhone Maps, Messaging, Phone, Music and compatible 3rd Party Apps. Android- 5.0 or Higher. Google Maps, Google Now, Phone, Messaging, Music and Numerous Popular Aps. Make Sure to Check the PHOTOS Above and VIDEO to See It! **Scores 42 Highway MPG and 32 City MPG! This Honda Civic boasts a Intercooled Turbo Regular Unleaded I-4 1.5 L/91 engine powering this Variable transmission. Wheels: 17" Alloy, Wheels w/Silver Accents, VSA Electronic Stability Control (ESC). 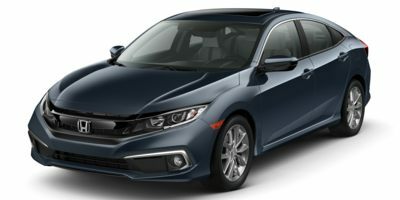 * This Honda Civic Features the Following Options *Valet Function, Trunk Rear Cargo Access, Trip Computer, Transmission: Continuously Variable (CVT), Transmission w/Driver Selectable Mode, Tires: 215/50R17 91H AS, Systems Monitor, Strut Front Suspension w/Coil Springs, Steel Spare Wheel, Speed Sensitive Variable Intermittent Wipers. * Stop By Today *Stop by Honda Marysville located at 640 colemans Crossing Blvd, Marysville, OH 43040 for a quick visit and a great vehicle! DISCLAIMER: Sales Tax, Title, License Fee, Registration Fee, $250 Dealer Documentary Fee, Finance Charges, Emission Testing Fees and Compliance Fees are additional to the advertised price. Any available rebates included in sales price in lieu of any special financing / lease incentives unless otherwise indicated. Internet prices are available to everyone.